Our laundry pickup and delivery service was created to give families and working professionals more time. Imagine not having to plan your day or week around “doing the laundry”. How many times have you planned on wearing something, but forgot to wash it and was left in a panic? How often do you wish someone would just do the laundry for you? Laundry Magician is here to take care of the laundry so you can focus on more important things. Our lives are busy and we all want to make sure we’re using our time wisely. With laundry pickup and delivery service, you can rest easy knowing you have one less task on your plate. No more washing, drying and folding endless piles of laundry…just throw everything in a bag and leave it for the professionals at Laundry Magician. 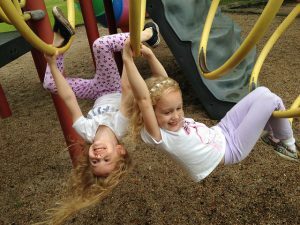 The beautiful community of Anderson Township, Ohio is a popular choice for families looking for a safe area with plenty of activities to keep you and your kids having fun! Founded in 1793, Anderson Township was slow to develop. It wasn’t until the interstate was built and direct access to downtown Cincinnati was provided that this area really began to flourish. Now, with a population of almost 45,000 residents (and growing), it’s easy to see why so many people have chosen to call Anderson Township home. We all love the conveniences that come with being near a big city, but don’t always enjoy the hustle and bustle that goes along with it. In this great community, you have everything you could want or need and it’s all close to home. There are plenty of restaurants, bars/pubs, movie theatres, and shopping centers, so whether you’re looking for a fun night out with your spouse, or need to make a quick stop for milk, you’ve got everything right in your backyard. Take a drive down Beechmont Avenue and find yourself faced with dozens of options for lunch or dinner. Spend the day with the kids at Anderson Town Center and go crazy at the Sky Zone trampoline park. Enjoy the beautiful scenery this great area has to offer. Parks, tree-lined streets, and lush greenery create a picture perfect landscape that’s impossible not to appreciate.